1. Toast bread and let cool slightly. Spread ¼ – ½ a can of pâté onto each piece of bread. Cover with a few dollops of cream or goat’s cheese (approximately 2 to 3 tbsp. per toast). 2. 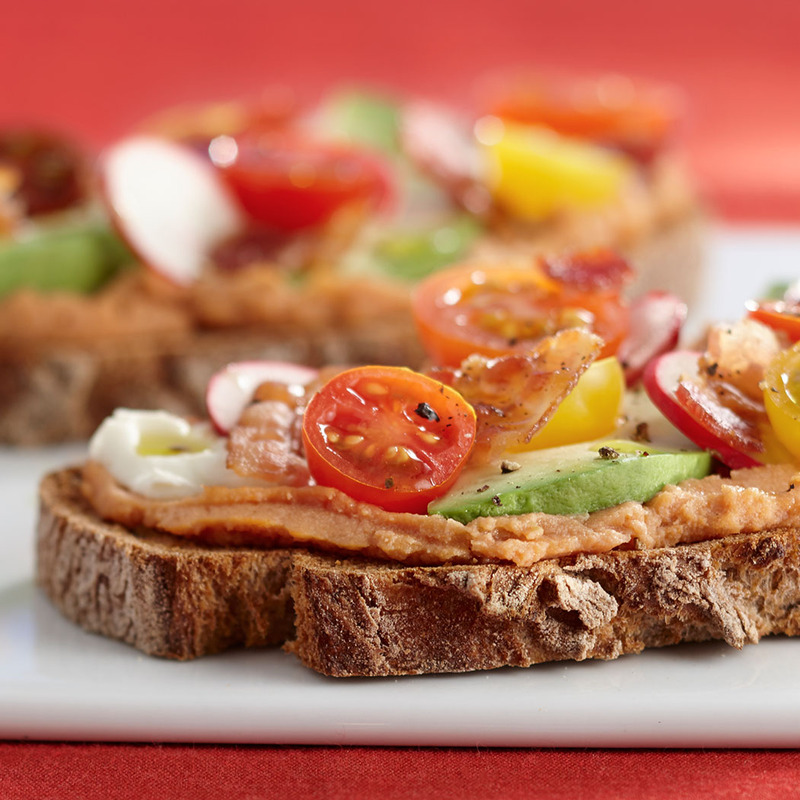 Layer ¼ of the avocado slices onto each and top with tomatoes, radishes and bacon. 3. Finish off with ground pepper and a drizzle of olive oil.